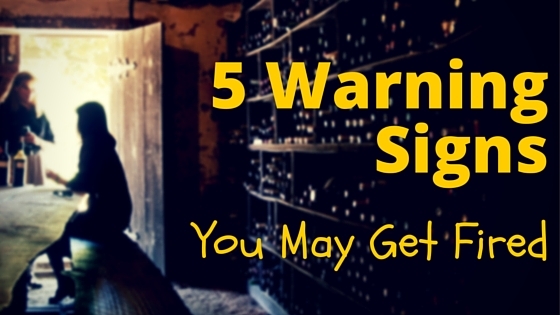 5 Warning Signs You Might Be Get Fired Soon? The thought of losing your job is sufficient to deprive you from the peaceful sleep. It always happens when you have not predicted and the result may be worst. You may have not started saving as it was your third month of job only or your responsibilities never permitted you to save than surely even such thought may give you a nightmare! You may say that you have not predicted it but the reality is subtle signs were already there, you just failed to take the appropriate action at the right time. In case if your job is still with you and lately you have not checked the signs of danger than it’s high time that you should keep your eyes open. In no regards these sign declares that your job is at risk bur surely it’s an indication that you need to be more alert and efficient. Is it happening that you have recently maintained a huge gap with your boss and those frequent sessions and friendly chat is missing? Even you are failing to greet him over social networking sites every day. It may be that even he had started ignoring you lately which you never noticed. They were the piecemeal that you forget to subtle. They were unspoken indicators that he had already made up his mind to fire you. No matter the count of your experienced year is more but if you have lost the charm you are no more in the team list of the company. Your colleagues would have hinted you too but it was your over confidence that you fail to believe it. Today world has confined to targets and employees always remain with the fear of losing their position if they fail to meet their target. No matter what you have done in past or to what strength the consoling words are coming from your boss, your fire notice might arrive naturally. Don’t be surprised! Under performing employees are treated as direct liabilities and any company would like to get rid of them. In case if your failing to meet the target from a long span of time then it’s time for you to gear up towards your target to protect your job. Also Read: Which MBA For What profession? It is a common scenario in any business environment that your employer might ask you to teach your skill to someone new. If you have still not realized the reason behind then stay alert it may be that he has been called to replace you. Improve your skills and start proving your importance before it is too late! A new boss always brings the wind of revolution and innovation. It is not clearly a confirmation that you will be fired but the situation may arise that you may be removed, so that his team may replace you. Remember to keep an open and ear in such firms so that you can get the signal beforehand. So many new projects were approaching in your firm but none were assigned to you but your colleague has been assigned with most of them. It is a red signal for you to understand that company has stopped treating you like an asset to them. The attention that was previously provided to you will vanish in a short time. Lack of participation is a clear signal that either you should look for another job opportunity or try to deliver your best immediately to remain in your position. Losing a job could lead to a disaster in so many life. Don’t be over confident that your job is secure as you have performed better in your past. Today the world is growing at a great speed and those who fail to maintain their track with them loses their position. If you have still not subtle any such indication then keep your eye and ear open so that you may not become one of them. In case if you have any problem in the organization tries to sort it out by communicating with your manager. Ensure that you make promises regarding your target which are practical and within your reach to meet as braggart has no role to play in any firm. Always share your accomplishments with the new team so that they realize your importance and try to exploit your knowledge to attain success. If nothing is working starting hunting for a job before it is too late! Your boss may have already looked for the person who will replace you it’s better that you vacate the position with positivity! The best of all these solution is to work harder every moment so that such situation may never arise!